Merry Christmas… yeah apparently we’re skipping Halloween or at least taking a temporary break from it to watch Arthur Christmas, which comes to cinemas on the 11th of November in Ireland and the 23rd of November in the US. Please note that both dates are after Halloween so technically you don’t have to worry about losing the Halloween spirit. The film stars James McAvoy, Hugh Laurie, Jim Broadbent and Ashley Jensen. The film takes the story of Santa and plays with it, adding high tech machinery and specially trained ninja-like elves. 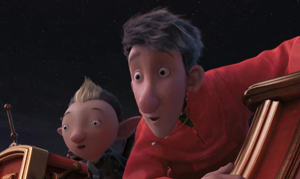 Rather than being one man, the movie says that Santa is a job that is passed down from generation to generation and as Santa approaches retirement age his son, Steve, is preparing to take on the role. However, Steve is more into technology and lacks the heart required to be Santa. Then there is Santa’s youngest son Arthur, who genuinely cares about the children that write to Santa, but is extremely clumsy. 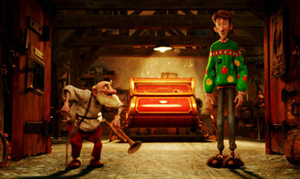 One Christmas, a present is accidently not delivered and, after everyone else refuses to go, Arthur decides to take matters into his own hands, with the help of his grandfather and an elf named Bryony. The rest of the film follows the group on the delivery, as well as the characters back at the North Pole who try to track down Arthur. It was surprising that the whole movie was about the one delivery, it seemed like it would go a different way. The film was funny and heartfelt, but there were times when I was thinking ‘just get to the house already, what else can go wrong’. There are some great one liners, though they may be completely lost on children. Some encourage violent behaviour, so the older kids should have plenty of ammo there. Then there was the reindeer that seemed to die off little by little throughout the film, though it is eventually revealed that they are all safe there are moments when you’re like ‘did they just kill off those reindeer’. It’s aimed at kids, but there were people complaining that it isn’t kid friendly. Personally, I don’t see too much harm in it, but I do see the points that these parents were making. It was a very enjoyable movie, filled with Christmas spirit which wasn’t great in October, but will be more welcome when it hits cinemas next month. If you’re looking for a clever, funny Christmas movie that will scar your kids from life then this is the film for you. That was a joke the scarring will heal over time. What do you think? Do you think it’s too early to be talking about Christmas? Are you planning on seeing this film? Would you like to be Santa? Let me know by voting and leaving a comment below. Also don’t forget to subscribe/follow and click the like button. This entry was posted on October 27, 2011 by adamodwyer1. 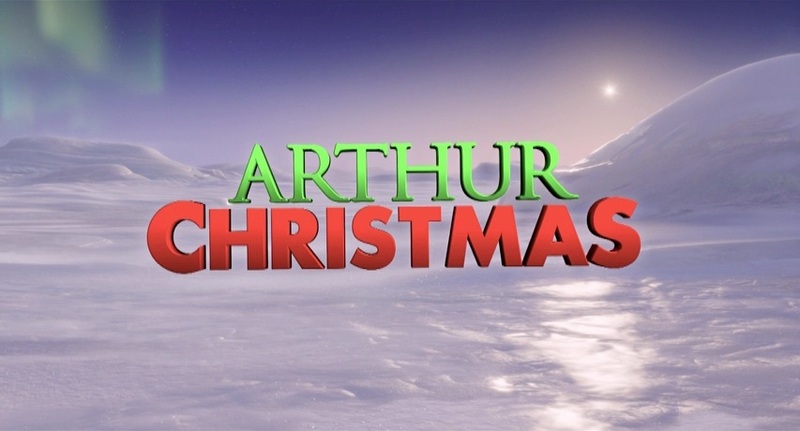 It was filed under Adventure, Comedy and was tagged with appropriate, arthur, children, christmas, funny, movie, review, seasonal. yeah but you have to remember that was the press screening it was never meant for October release, though November is still a bit early I think. I think children will love it too, I’m really amazed at the tramatic stuff children will overlook in films. Oh Ben you truely were a good cow.